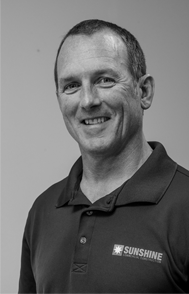 Sean Hallinan has been been involved in commercial construction in the SF Bay Area since 1986. Before founding Sunshine, Sean worked as a carpenter, a superintendent and project manager for several local commercial construction firms. Sean received his BA from the University of California at Berkeley with a major in International Studies. Sean is an avid surfer and cyclist and his favorite thing to do when not coaching his daughter’s softball team is load up the Vanagon camper with his family and surfboards and explore the California coast. Sean lives in Albany with his wife, two sons, one daughter, chickens, cat and a gecko. 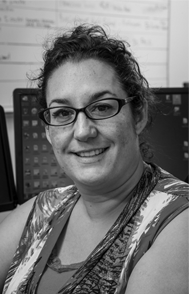 Georgina Tamplan has over 20 years working in construction administration. She joined Sunshine Commercial Construction, Inc. in September 2013. Georgina has worked in the construction industry as the controller of a mid-size company for 9 years and upper management in several other construction companies. Her experience includes accounting, finances, business management and human resources. In her free time she loves to spend time with her family on their ranch riding and taking care of their horses. Juan Moreno has been field superintendent for Sunshine for 4 years. 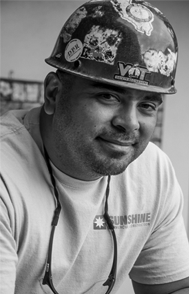 Prior to his promotion to management, Juan was a field foreman and drywall installer for Sunshine. Juan completed his apprenticeship in 2000. Juan is an expert drywall installer and metal stud framer, and holds multiple certificates for skills and safety training. Juan lives in Modesto with his wife, son and daughter. He enjoys weight training, banda music and playing soccer with his son.